Synopsis: For hundreds of years tales of dragons have been told and cherished. What child hasn't wished to have his or her own dragon or to fight the great fire-breathers? 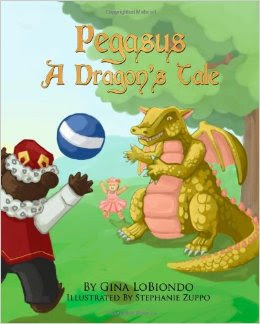 Pegasus - A Dragon's Tale is the delightful, heart-warming story of two young bear cubs and the dragon they find that changes their lives forever. Review: This is an excellent children’s book and it would be the perfect book for any child to enjoy during the day or as a bedtime story. This is a timeless book that I can imagine children through the years enjoying.